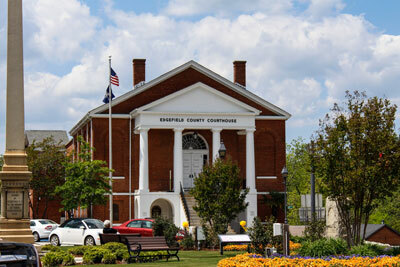 Edgefield County has contracted with the South Carolina National Heritage Corridor (SCNHC) team to develop a first-of-a-kind branding package for the county. This branding project was approved by Edgefield County Council in February. The SCNHC team has begun their initial research of the county, which includes public input and feedback. The whole package includes helping the county create a brand and recommendations for how to implement that brand, including a new county website and a social media strategy. The end result of the project will include a new logo, according to SCNHC President and CEO Michelle McCollum,. The South Carolina National Heritage Corridor is a non-profit National Heritage Area program of the National Parks Service that aids in preserving, promoting, and preserving the cultural, natural, and historic resources of South Carolina. Though the SCNHC covers a 17-county area that includes Edgefield County. For more information on the SCNHC visit www.revealsc.com.